Exiting her daughter’s apartment building on a recent Sunday, Janet Korte spotted something that looked just like the motorless Razor scooters her children loved to ride. “So I thought, ‘This’ll be a piece of cake,’” said Korte, 52, who was visiting Kansas City from Wichita. She pressed her thumb on the throttle, and the scooter jolted forward. The front tire clipped the uneven sidewalk. The back of her head slammed on the concrete. Blackout. She couldn’t talk or move. “It happened so fast,” she said. Just like that, Korte was another victim of the latest transportation craze sweeping Kansas City and the rest of the country: electric scooters that can be rented at the touch of a phone. The paremedic told Korte she was the ninth scooter-related accident he had handled in the past month. Korte was riding a Bird scooter. 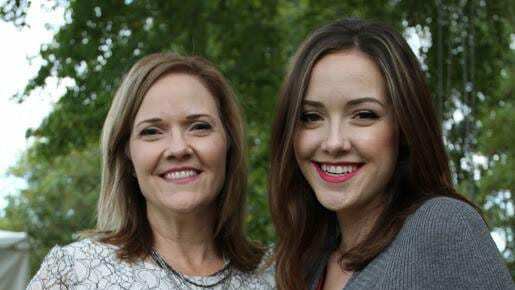 After Janet Korte (left) fell off an e-scooter in October, Lara Korte asked how many accidents have happened in the metro. Media reports have highlighted serious e-scooter injuries in cities across the country, from San Diego to Dallas. The story is different in Kansas City, thus far, according to fire department data. 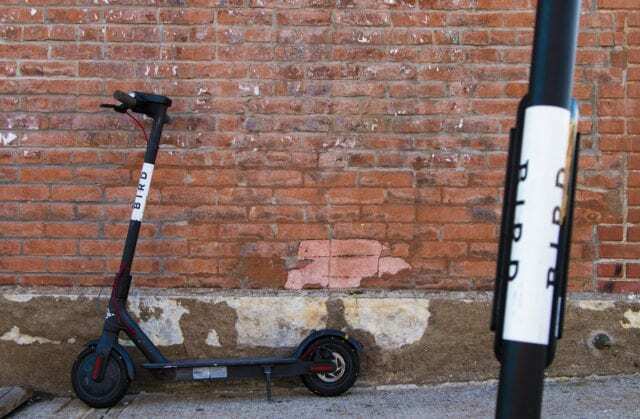 The department said it had responded to just 19 scooter-related accidents since these new-fangled conveyances arrived here in July. Most of the injuries were hurt wrists and skinned elbows; four resulted in probable fractures or dislocations, and three involved motor vehicles. One person was sent to the hospital when the scooter they were riding collided with a car. Most injuries happened when riders lost their balance and fell, the department said. Officials would not provide any specifics on time, location or circumstances of the accidents, claiming that was health information exempt from Missouri’s open records law. Both Bird and Lime have detailed safety instructions on their websites. The websites and the companies’ user agreements encourage riders to wear helmets. The Bird user agreement also notes there are “obvious and not-so-obvious risks, dangers and hazards that may result in injury or death,” including pedestrians, traffic, road conditions and weather. Korte’s decision to hop on the Bird was a spur-of-the-moment thing, so she did not read the user agreement before taking off, or the app’s terms of service. She’d seen her adult children ride them and it seemed easy enough. That gave her the confidence to try, but the scooters turned out to be deceptively dangerous, Korte said. She was treated for a minor concussion at the University of Kansas Hospital emergency room. And, even 72 hours after the accident, she was still unable to completely close her jaw. Bird’s trust and safety team routinely sends emails if riders submit negative complaints or accident reports. This was sent to Korte after her oldest daughter, Lydia, reported the accident. Medical experts in the metro also worry about safety, citing rider inexperience, alcohol use when riding and lack of bike lanes. “The thing that impresses me about this trend is that these (scooters) are not slow,” said Tracy McDonald, program director for trauma, acute care surgery and concussion at the University of Kansas Health System. McDonald said the handful of scooter riders treated in the KU Hospital emergency room have suffered the same type of head injuries they see from bike accidents, including broken teeth. That’s not surprising, McDonald said. If you fall off something going 15 miles per hour — the top speed of both Bird and Lime scooters – you are likely to get hurt. Officials at Lime and Bird did not respond to emails seeking comment. Eric Vaughan, BikeWalk KC’s director of bike share and business services, agreed. BikeWalk KC is a nonprofit dedicated to making the roads more friendly to pedestrians and bikers. He’s also seen a lot of riders struggle with the city’s lack of bike lanes. “(The city is) pothole-ridden and has cracked sidewalks all over the place,” he said. Much of the angst around the scooters in Kansas City has revolved around safety of the scooters in the pedestrian-heavy Country Club Plaza. Bird temporarily suspended its service on the Plaza this summer but reinstated it in late August after discussions with business owners in the area. “We’re seeing a lot of incidents with pedestrians and scooter users in conflict with each other – scooters blocking ADA (Americans with Disabilities Act) ramps,” Vaughan said. When sidewalks are blocked, people in wheelchairs are forced out on the street, said Karen Campbell, director of development and communication for BikeWalk KC. “Coming upon a scooter blocking a sidewalk would be, I would think, infuriating,” she said. Through his work, Vaughan of BikeWalk KC has studied the e-scooter industry, including delving into the specifics of the user agreements, evaluating how the scooters are maintained, and carefully watching the deployment of the scooters in Kansas City. The user agreements are a long read, and he worried that riders won’t realize all the legalities involved in using an e-scooter. The Bird agreement states that riders are liable for any accident and that riders “assume all risk” if they don’t wear a helmet, and it says disputes must be resolved in Los Angeles. Vaughan’s belief is that the city didn’t spend much time on regulation governing the scooters and wasn’t prepared for how popular they would become. Vaughan also claims these scooters weren’t built to last. E-scooters have a maximum weight of 220 pounds and a max life of four months, which he said is unsustainable. Several Bird scooters were ready for riders in Kansas City’s Crossroads area. Local employees paid by the scooter apps are responsible for repairing or charging the scooters. So, what happens with the duds or run-down scooters? The scooter craze is reminiscent of an earlier wave of dockless bike shares that splashed across the U.S.
Vaughan and Campbell said the city can use past examples to plan ahead. The demand for different transportation options is there, but safety is not. “Scooters can be a very powerful device if they’re done the right way,” Vaughan said. The city agrees, said spokesman Chris Hernandez. To that end, officials are working toward refining city regulations governing scooters and bikes. Hernandez expected those rules to be in place after a data-gathering phase during the next 12 to 18 months. The scooters’ popularity highlights a demand for a different way to get around the city. It’s cost-effective and can be faster. Now, BikeWalk KC’s Campbell said, city leaders should focus on ensuring safer pathways for on-the-go travel – whatever mode of transportation people want to use. Korte, who is a physical therapist, thinks about the fun-ride-turned-fiasco. She can’t believe a “piece of metal with a little stick” caused so much damage. While some days her neck feels stiff, she’s almost fully recovered. She can even finally close her jaw all the way. Are Rental Inspections Good For a City? Can You Improve an Area Without Gentrifying It?